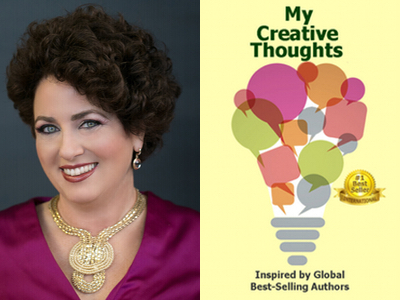 Adriana Ellis is featured in Expert Insights’ #1 Int’l Bestseller, My Creative Thoughts Journal! Adriana Ellis is a Certified Elite Life Coach and Certified Law of Attraction Practitioner. Adriana, a wife and mother, has struggled with her weight. She is a Weight Loss Coach for people who are frustrated that they can’t seem to keep the weight off no matter what they do. She teaches a new approach on how to ditch the dieting and lose weight for good. She is a practical, no-nonsense coach who is straight forward and to the point. Her job is to help you see alternatives to diets that work for you. Together, Adriana and you, uncover then explore the facts about your beliefs. She does this without belittling or making one feel bad about themselves. It is done in a supportive way that helps you see your own power. After working with many people, Adriana knows that the key to permanent weight loss begins with your thinking. Together you start with the inner work and work out. 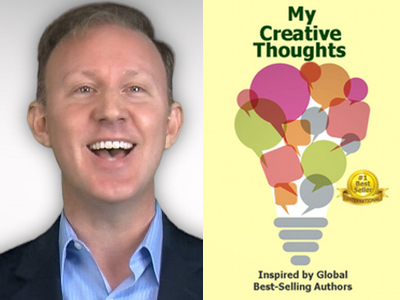 TR Garland is featured in Expert Insights’ #1 Int’l Bestseller, My Creative Thoughts Journal! TR Garland is the number one best-selling author of Building the Ultimate Network, and an internationally recognized business network and strategic partner expert. His first article ever published was by Entrepreneur magazine, and his written work on relationship capital and referral marketing has since earned him the prestige of being an international syndicated columnist, as well as an induction into the National Academy of Bestselling Authors. In less than three years, TR built his own Ultimate Network from scratch in an industry brand new to him that generated millions in revenue over the past year alone. He coaches his six, seven, and eight-figure clients to build their own multimillion dollar networks in a matter of months with his proven Profitable Partnership Formula. 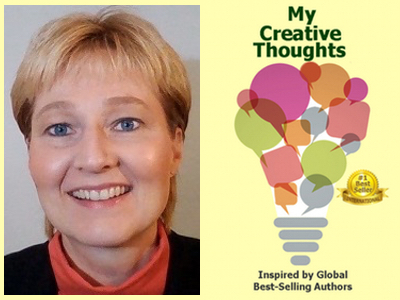 Debbi Dachinger is featured in Expert Insights’ #1 Int’l Bestseller, My Creative Thoughts Journal! Debbi Dachinger hosts the syndicated, award-winning “DARE TO DREAM” radio show. She’s a motivational speaker, best-selling author and successful Media Mastery training expert. 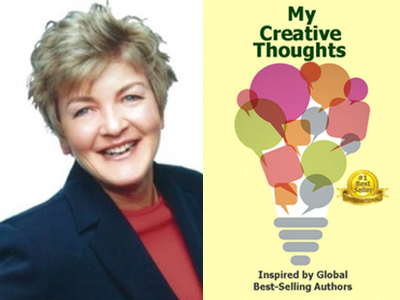 Lynda Dyer is featured in Expert Insights’ #1 Int’l Bestseller, My Creative Thoughts Journal! Lynda Dyer is one of the 58 people from around the world filmed for The Secret, because she applies her material to her life and cured herself of Lupus. She is a Certified Professional Trainer in Neuro Linguistic Programming (NLP) and is an international speaker, author, and transformational coach. Lynda assisted the earthquake victims in China by writing and translating 5,000 copies of her best-selling book Good Grief and delivering them personally. She was recently chosen to be a cast member on the Living Consciously TV show and is a co-writer of the new bestseller Wounded? Survive! Thrive!!! Her amazing stories will evoke joy and tears. She travels the globe as an inspiration to many around the world with her passion and zest for empowering others to be more. 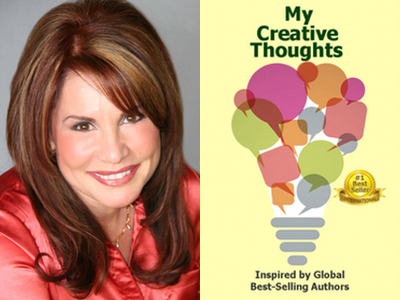 Dr. Cathy L. Greenberg is featured in Expert Insights’ #1 Int’l Bestseller, My Creative Thoughts Journal! Dr. Cathy L. Greenberg, a NY Times best-selling author, helps executives and employees maximize their potential using her unique Happiness = Profit business formula. Having done so successfully for more than two decades, she wins rave reviews from clients as well as from leadership gurus including Warren Bennis, Marshall Goldsmith, and Noel Tichy. 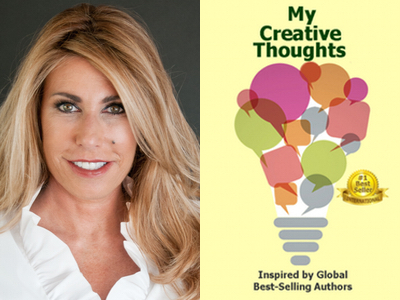 Jill Lublin is featured in Expert Insights’ #1 Int’l Bestseller, My Creative Thoughts Journal! Jill Lublin is the three-time best-selling author of Guerrilla Publicity, Get Noticed, Get Referrals, and Networking Magic. An international speaker with more than 200 speaking engagements each year, Jill Lublin is an audience favorite for her lively and interactive keynote speeches, seminars, and special programs. Her unparalleled knowledge of publicity and networking has gotten the attention of ABC, NBC, CBS, The New York Times, Entrepreneur magazine, Fortune Small Business, and a long list of media outlets worldwide. When Jill isn’t traveling the world wowing audiences, she hosts her own TV show, “Messages of Hope.” Jill also teaches her powerful Crash Course in Publicity. Congratulations to Jim White Ph.D. for his #1 Int’l Bestseller, What’s My Purpose? 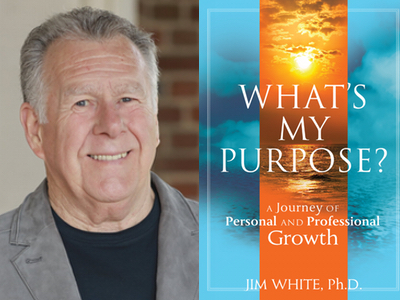 Jim White, Ph.D. has been inducted into the Bestselling Authors International Organization for his #1 International Bestseller, What’s My Purpose? A Journey of Personal and Professional Growth. Jim White, Ph.D. is the CEO and Founder of What’s My Purpose? Life Mastery Course. Jim works with organizations and individuals worldwide, helping them define and implement excellence. CEOs, managers, and entire departments and companies have shown vast improvements through a wide range of customized services that enhance management effectiveness, productivity, and quality of professional relationships. In 1991, Jim founded JL White International, Inc. As a full-service management consulting and leadership development organization based out of Monterey, California, JL White International, Inc. offers a variety of innovative programs. His powerful workshops have helped hundreds of businesses and individuals identify various management styles, decision-making processes, corrective action techniques, morale-building methods, and accountability issues.